Beautiful 3BD/2BA Ranch nestled on 10.54 acres with mountain views, pasture, and several creeks! 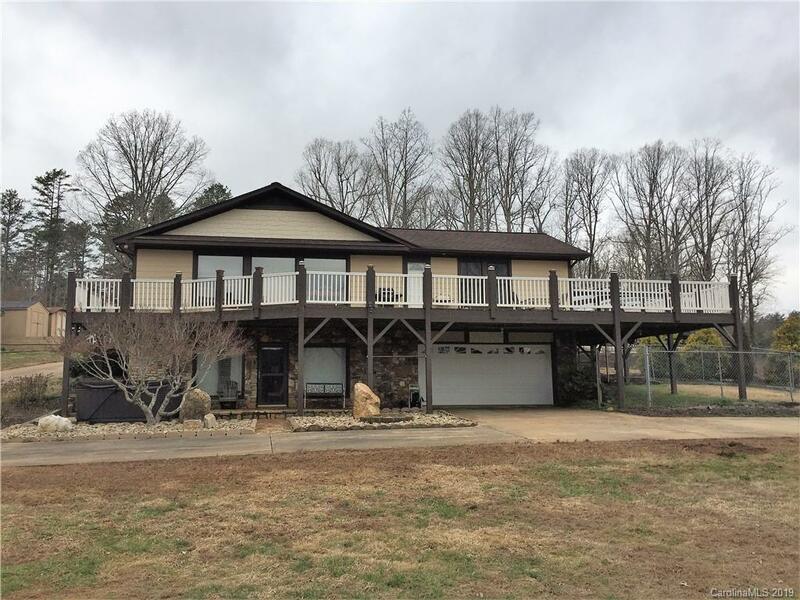 Wrap around deck welcomes you inside a great room, kitchen with granite counter tops, all appliances, dining area, and a family room with exposed beams! Master bedroom features exposed beams and a walk-in closet! 2nd. bedroom is a good size! Main hall bath with granite counter top, double vanities, and tiled shower! Finished basement has a family room with FP/Wood insert, bedroom, office, storage /utility room, and separate laundry room with W/D, utility sink, cabinet, and ironing board! Full bath with granite countertop and tiled shower! Double attached garage on basement level, and double detached garage on main level! Barn, woodshed, and 2 storag buildings convey! Majority of acreage is in grass, and partially fenced! Selling Office: Washburn Real Estate, Inc.